She stood near the rounded windows in her wedding gown, in the same spot where brides have stood for more than a hundred years; her veil delicately covered her face and wrapped around her shoulders and arms. When she looked out the second story-window of the Blackwell Hotel in downtown Coeur d’Alene on Sherman Ave., Amy Plass saw her fiancé, Martin Plass, dressed in a gray suit with a silver bowtie, taking pictures with his groomsmen and family under the large maple trees that turn red in the autumn. 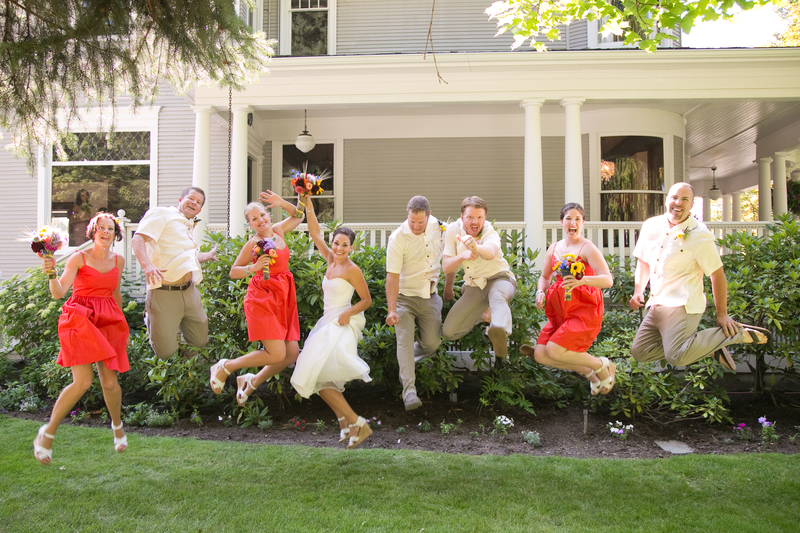 She knew in that moment the Blackwell Hotel was the right place to celebrate her wedding on Sept. 8, 2012. Since last summer, the Blackwell Hotel has intimately hosted more than 20 weddings and other various events, with groups as small as 10 people to as big as 250. This summer will be their biggest season yet. Unique and luxurious, the Blackwell Hotel offers an unparalleled accommodation experience. Martin and Amy Plass fell in love with the Blackwell Hotel for a variety of reasons. 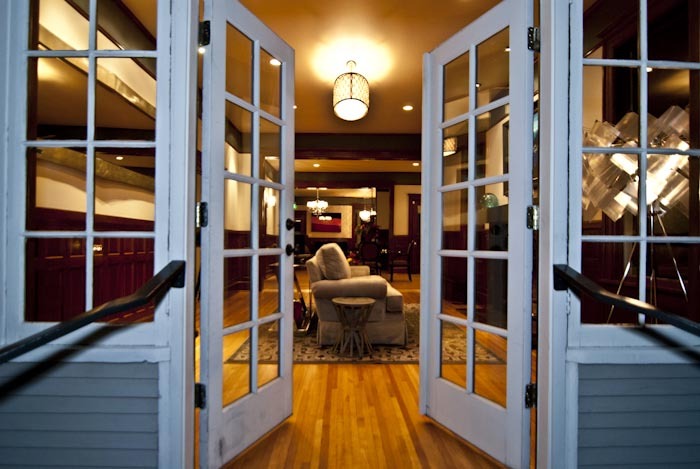 The Blackwell Hotel can accommodate every stage of a wedding celebration, from the rehearsal dinner to the wedding ceremony and reception to the after-party. 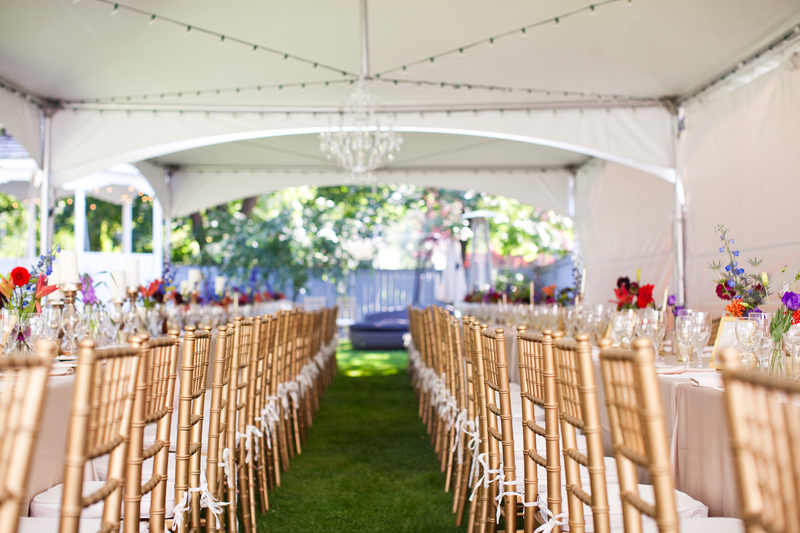 A large and enclosed backyard with lush grass and flowers suits a marriage ceremony or reception exquisitely. A gazebo, a private garden, and a hot tub that fits eight are also available for wedding guests. The Hotel is four blocks from Lake Coeur d’Alene, with easy access to the region’s finest dining, shopping and activities. “We liked the fact that it is really close to town and Cd’A’s nightlife. All of us could walk everywhere. 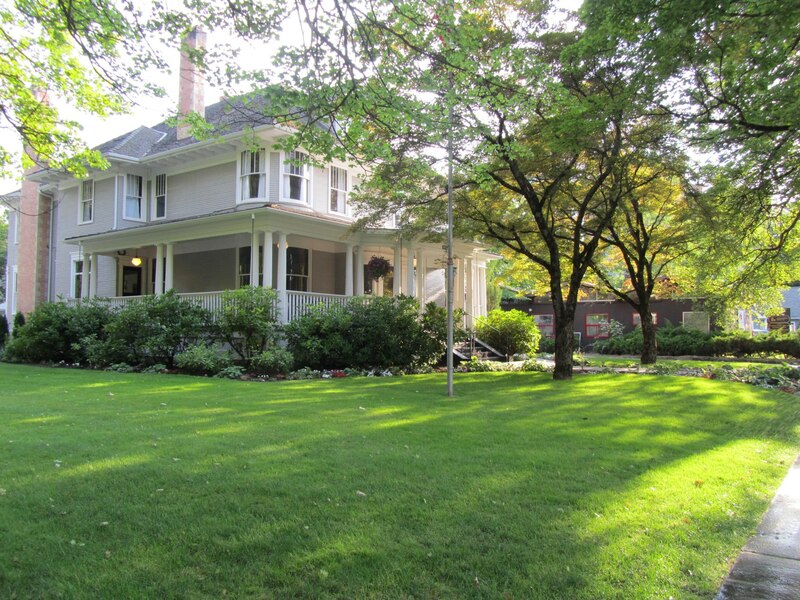 We loved the character and charm of the house and the history behind it,” said Amy. As a wedding ‘home base,’ the Blackwell Hotel boasts a full-service kitchen, laundry facilities, dining rooms, seating rooms, bedrooms, and a media room complete with a flat screen T.V., shuffleboard and pool table. The stunning Blackwell Hotel is an elegant blend of century-old architecture, tall doors, spiraling staircases, and custom-framed windows that shed light on all of the Blackwell’s newest additions of modern décor and local fine art. It’s a place of history and style, of richness and flair; the Blackwell Hotel is not only a place but an experience. Blackwell Hotel wedding packages are cost-effective and tailored to a bride and groom’s requests, merging all the needs of a wedding into one intimate and memorable place.